Solar energy is free and clean and in the Algarve, plentiful. Using it to heat your household water or swimming pool is an easy way to save money and extend your swim season. 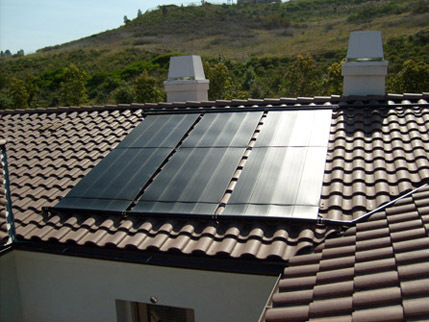 We deliver solar pool heating and solar hot water solutions in the Algarve. For many property owners, using renewable energy is not simply a matter of saving energy, however, the simple truth is that solar energy will save you money. Solar pool heating dramatically extends your swimming season, enabling healthy enjoyment and exercise in luxurious warm water from spring to autumn. If you have a rental property this will put you head and shoulders above the competition allowing you to extend your rental season. First-time pool owners are frequently surprised by how much traditional pool heaters cost to run. Because of this, many choose not to heat the pool at all, limiting its use to only the hottest days of summer. Our system is a direct system where the swimming pool water is pumped directly up onto your house/shade roof or onto one of our pergolas, and is heated in flexible solar neoprene mats, returning to the pool directly. 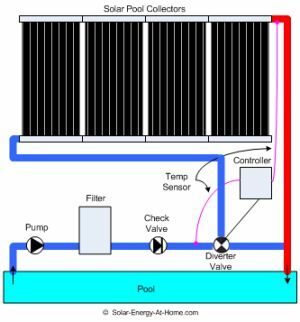 This system is simple and efficient and is comparable in price to a heat pump system, however without much much lower running costs (practically zero). These systems can be retro-fitted or installed with one of our pool. If in any way you are considering extending your Algarve swimming season, then solar is certainly the way to go. We recommend at least 75% of you pool surface area in collectors. If this is mounted pointing roughly south in a location that gets sun from 10am till 5pm then you can expect a 5-7 C rise which should give you 2 extra months per year swimming time. 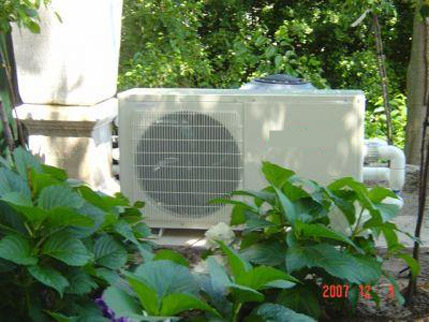 To extend the use of the pool even further, or to supplement a solar system and even for rarely occupied properties we also fit and supply “air source heat pump” pool heaters. These are electrically powered but use a compressor to harvest heat from the surroundings. You have a considerable investment in owning and maintaining your swimming pool. The question should be – “what is it worth to me to have a warm comfortable pool that I can enjoy all the benefits of, more often?” A Solar Pool Heater will pay for itself in as little as two years. After that, you’ll be collecting dividends in the form of free heat year after year by simply choosing to use a pool solar heater.